Since the burning of pine tree residue on Sunday the 21st of September, Shire of Chittering Residents have been forced to only drink commercially sourced bottled water after deposited ash has tainted local rain water tanks. The fire commenced at about 6.45 am with the prevailing wind blowing smoke and ash in an easterly direction towards Rosa Park, where it settled on roofs and gutters. Later in the morning heavy rain washed this material into rainwater tanks on many properties. The controlled burn’s ash has rendered the water undrinkable as the ash has introduced potentially harmful by-products from the burnt bush, plastics and metals. The Shire of Chittering has since recommended that the water is indefinitely not used for preparing foods, washing and bathing, cleaning teeth or watering animals. It may take several weeks or months for the issue to be resolved as the Shire does not have the resources to test all the water tanks, so sample properties will give a representative indication of the contamination status certain areas. However, it is still a huge task without a quick solution. After being left stranded without water since last week, the team here at Aussie Natural decided that we needed to help out the struggling residents and since then we’ve donated hundreds of litres of clean, pure drinking water to the affected residents. We supplied everyone with our famous bags of natural spring water which are easy to use in many instances due to its unique tap fitting. Having this supply of fresh water has allowed the residents to have access, once again, to water to use for cooking, drinking and washing. People who are still struggling and have not yet claimed their bags of spring water should head to the Shire of Chittering’s office as there is a large stock supply available there for the community. 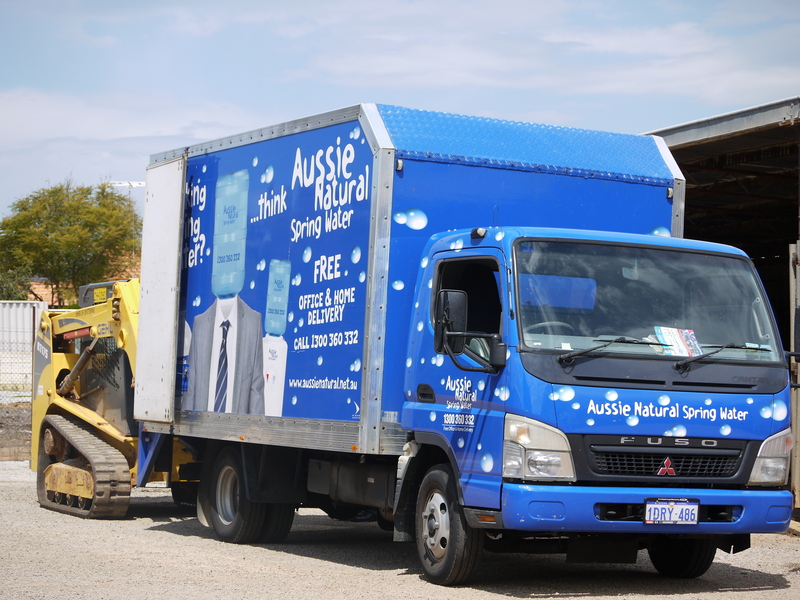 Alternatively call the friendly team at Aussie Natural on 1300 360 332 to organise the free delivery of your bags of spring water. If you are unsure about the quality of the water in your tank contact the Shire of Chittering’s Health Services on 9576 4600 to see if you are eligible for free water testing.